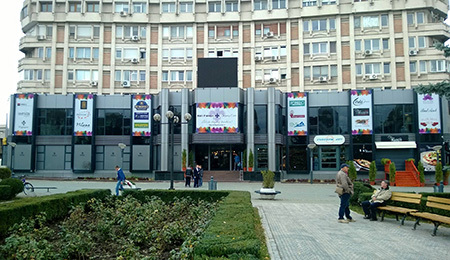 Located in a city with a booming economy, Mall Ploiesti Shopping Center successfully receive very high customer traffic in the city center area called “Kilometer 0” of the city. The project has received numerous processes of modernization in recent years and was extended in 2010 due to customer requests for filling permanent tenant mix. With this expansion the total space offered for lease customers interested in the location of a store or represented in the center is 8,000 square meters.